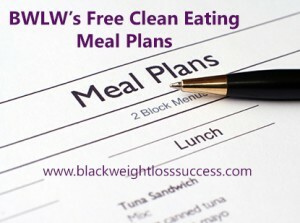 Here is Week #4 of BWLW’s Free Clean Eating Meal Plan! As always, we’re giving you recipes and the calorie count for the day. The plan lays out meals that amount to 1600-1725 calories per day. If you are eating less calories, you can adjust it by changing a recipe, removing a snack or 2, etc. Solid meal plan. Very detailed! This is the key to losing weight, having a solid plan. It is so difficult to lose weight if you don’t a plan. It makes life so much easier in the long run. Husband and I are thinking of doing this together. Are the and and shopping list for one? Could you list the carb count in too? The meal plans look awesome. I am going to try it!